Another year, another plethora of superhero movies. 2018 brought us nine superhero movies, which is the most that we’ve ever had in a single year. From the Black Panther juggernaut to the Spiderverse and plenty in-between, the superhero movies in 2018 were pretty good. Of the nine movies that came out, there was only one that I wasn’t a fan of, and even then I didn’t hate it. We got some of the biggest, most unique superhero films this year, taking from Wakanda, to Atlantis, to alternate universes. Here is my ranking of the superhero movies of 2018. Teen Titans Go! to the Movies is like a five-year-old on a copious amounts of sugar. This loud, colorful, erratic, mildly funny, yet mildly annoying superhero film is one that seemed it was for only fans of the show. I honestly couldn’t even tell you what this movie was about or any of the characters minus Robin and Cyborg. Some of the meta humor is funny, but that’s all that I got. These titans should GO! back to the small screen. Venom was a movie I was not excited to see. The trailer was a disaster and it genuinely looked like one of the worst movies of the year. Turns out, it’s not that bad. The plot is jumbled and the final battle is a hot mess and black gew vs dark gray gew. But with a captivating performance from Tom Hardy that is completely bonkers and out-of-this-world and a tone that plays more as a buddy comedy than comic book action film, Venom ends up being a rather fun, bizarrely enjoyable movie. The Merc with the Mouth returned in 2018 and it was a lot of the same-ol stuff. Ryan Reynolds returned as out foul-mouthed hero, donning the red suit, breaking the fourth wall, and the rest of the Deadpool schtick. This time, though, we brought in a slew of new characters, like Domino (played wonderfully by Zazie Beetz) and Cable (Josh Brolin, looking as cut and swoll as ever). Deadpool 2 also offers up a lot more heart than the first film, as Deadpool faces actual loss and has to learn what it really means to be hero. This additional heart, plus the humor and action, really elevates Deadpool 2 into a surprisingly emotional sequel. Ant-Man is quietly becoming one of the better MCU mini-series. What’s best about the Ant-Man franchise is how small (no pun intended) the films are in comparison to the rest of the MCU movies. In terms of scale, the films are very local and contained, which allows the movie to focus on the characters and their development. Ant-Man and the Wasp gave Ant-Man (an on-point Paul Rudd) a partner in Wasp (Evangeline Lilly, an absolute badass) and added a few new interesting villains. Ant-Man highlights its blue-collar hero and offers up the most laughs out of any MCU movie. I’m not as high on this movie as the rest of the world, but Spider-Man: Into the Spiderverse is one of the most unique superhero and animated movies I’ve seen in a long, long time. With wild, hyper-active animation and insane character design (I still can’t get over how awesome Kingpin looked), Spiderverse is a visual treat. The Miles Morales story is one we’ve all been waiting for and it’s great that we got it, though I feel it would have been even better had the actual Spiderverse not exist and the movie was just focused on Miles. This is a very good movie that I didn’t like nearly as much as most people. What James Wan accomplished with Aquaman is nothing short of amazing. Wan realized how big in scale and size our hero and the world he lives in is and put all of it and more on the screen. The world of Atlantis is a gorgeous spectacle for the eyes and Wan gives us a drum-playing octopus, war crabs, and hundreds of SHARKS WITH LASER BEAMS ATTACHED TO THEIR HEADS that Dr. Evil’s mind would explode. This is a fun origin story and led by a solid performance by Jason Mamoa and exhilarating action, Aquaman lands itself as one of the best DCEU movies. MY MAN! Avengers: Infinity War was the cinematic event of the year. After ten years and nearly twenty movies, we were finally getting the big showdown of the Avengers versus the big, bad, purple giant, Thanos (Josh Brolin, in one hell of a performance). Infinity War is a tricky movie to judge, as it is part one of two, so we don’t know the entire story. But, as part one, this movie a really, really good movie. It is a lot to take in the first time you see and requires multiple viewings to really grasp all the characters, locations, and great filmmaking that is going on. I am a firm believer that Infinity War‘s legacy will be told after End Game comes out in 2019, but for now, this is as epic as movies get. Black Panther was the story of 2018. An absolute juggernaut in every sense of the word, the highest grossing movie of 2018 and one of the best reviewed movies of the year became a hit with audiences and critics. Black Panther is one of the best movies the MCU has ever made. It brings us into the world of Wakanda that acts as a character itself, with its politics, rituals, and new technology. Coogler gave us a film that is fresh, new, and exciting. Chadwick Boseman is great as our titular hero, but the film also boasts one of the best performances of the year from Michael B. Jordan as the film’s villain, Killmonger, and the women of Wakanda, played with class, pride, and strength by Lupita Nyong’o, Letita Wright, Danai Gurira, and Angela Bassett, that elevate Black Panther to the film that it ends up being. WAKANDA FORVER! It almost boggles my mind how overlooked and unappreciated Incredibles 2 is. Writer/director Brad Bird is working on so many levels here, more than any animated film this year and more than any superhero film this year, making a movie about gender roles, parenting, commercialism, consumerism, the call for action, and a question that we could ask ourselves every year, do we need superheroes? The animation is some of Pixar’s best, with slick action and pushing the boundaries of animation (see the Elastigirl train chase and the Screenslaver room battle) and Michael Giacchino’s score is one of the year’s best. This is a movie that gets better and better every time I watch it. It’s one of Pixar’s very best, ranking right up there with the original film, and is also the very best superhero movie of 2018. 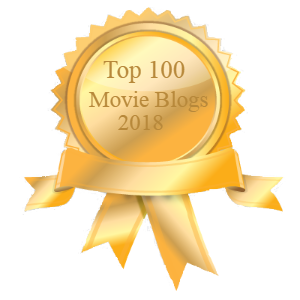 The post Best of 2018 – Ranking the Superhero Movies of 2018 appeared first on Kevflix. Next New from E-Man’s Movie Reviews by Emmanuel Noisette: 5 Avengers Endgame Endings That Will BLOW You AWAY!